Jim Newton is a veteran journalist, author and teacher. 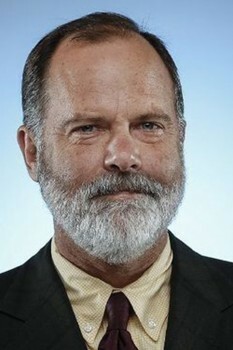 In 25 years at the Los Angeles Times, Newton worked as a reporter, editor, bureau chief, columnist and, from 2007 through 2010, editor of the editorial pages. He is the recipient of numerous national and local awards in journalism and participated in two staff efforts, coverage of the 1992 riots and the 1994 Northridge Earthquake, that were awarded the Pulitzer Prize. He came to UCLA full-time in early 2015 to teach in Communication Studies and Public Policy and to found Blueprint, a new UCLA magazine (blueprint.ucla.edu) addressing the policy challenges facing California and Los Angeles in particular. He serves as the magazine’s editor-in-chief. Newton also is a respected author of three important, best-selling and critically acclaimed works of history: Justice for All: Earl Warren and the Nation He Made (Riverhead, 2006); Eisenhower: The White House Years (Doubleday, 2011); and Worthy Fights: A Memoir of Leadership in War and Peace (Penguin Press, 2014), a collaboration with former CIA Director and Secretary of Defense Leon Panetta. He is at work on a fourth book, tentatively entitled Jerry Brown and the Creation of Modern California, a history of the state since 1960 as well as a biography of its longest-serving governor. It is scheduled for publication in 2019 by Little, Brown.